At CCE, we aren’t content to train you and then leave you stranded. We believe you should have access to an ongoing community of like-minded professionals who can resource one another. This vision for community was built into our organization from the beginning. Every trainee that goes through our Essential Training receives a free CCE membership, which enables you to stay connected to a powerful network of relationships and resources. 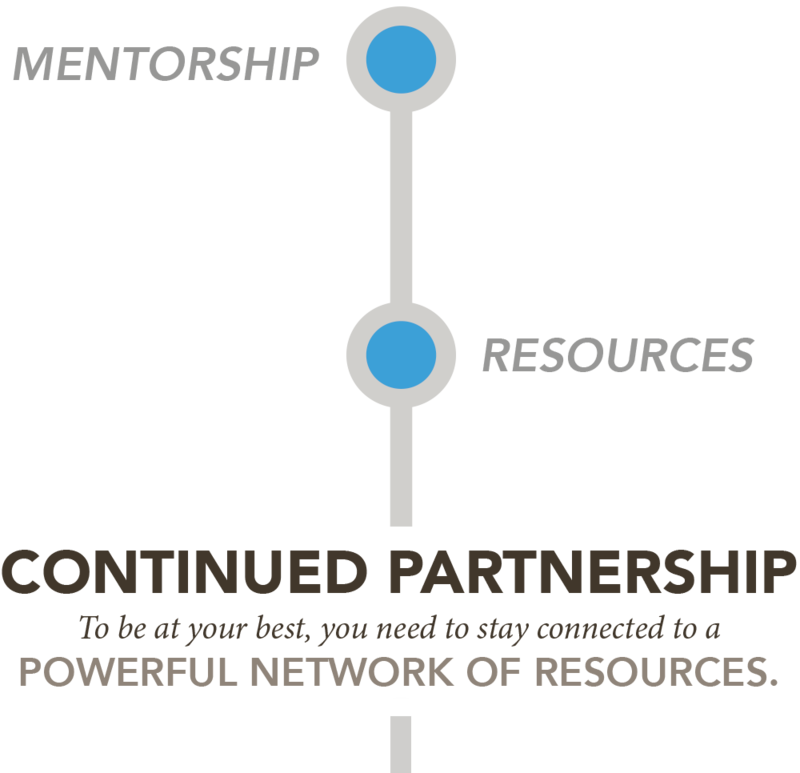 Frequent webinars give you access to mentorship and support. We’re committed to providing you with the resources you need to be a successful and masterful coach. We won't clutter your inbox. As we have access to valuable information, we want to share it with you. Personal, one-on-one mentor coaching from a certified PCC-level coach offers consistent support for mastering your coaching skills with confidence and proficiency. We invest in each of our trainees, and our electives are one way we support you in the mastery of coaching. who share a similar vision has been invaluable.